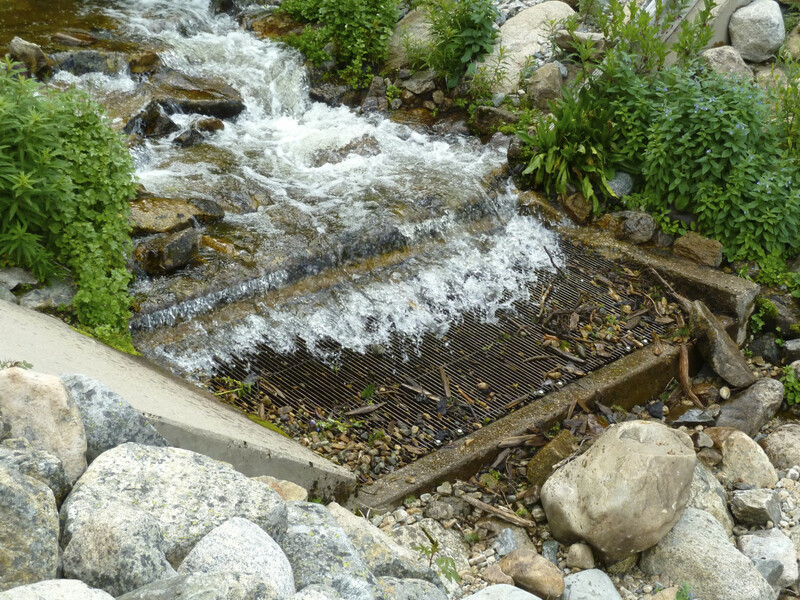 Brent Gardner-Smith/Aspen Journalism | A diversion structure that ends the natural path of Sawyer Creek, a tributary of the Fryingpan River. There are 15 major transmountain diversions in the headwaters of the Colorado RIver, and most of them are made up of collection systems that tap smaller tributaries. A informational graphic shown at a Western Slope Roundtable meeting in Grand Junction on Dec. 18, 2014. 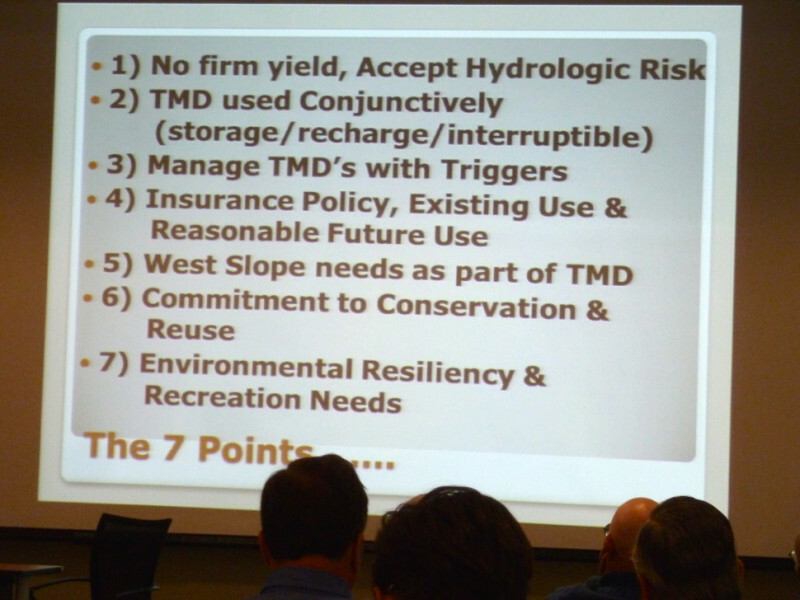 GRAND JUNCTION – A draft seven-point framework that lays out conditions for a potential new transmountain diversion in Colorado was explained Thursday in Grand Junction to the members of four Western Slope water-planning roundtables.